Standards Night Live from Deseret Book on Vimeo. 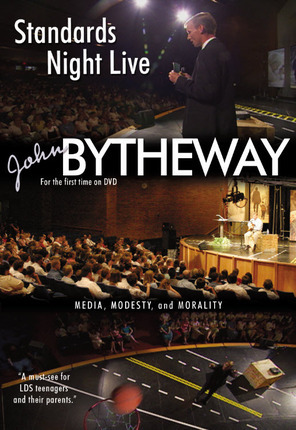 Everything you've wanted your teens to hear about media, modesty and morality is contained in this new Standards Night DVD. 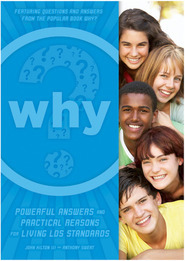 Using the newest For the Strength of Youth pamphlet, John Bytheway outlines the standards in a direct honest and clear fashion, yet he delivers the message in such a way that youth and adults alike don't feel lectured or preached to, but motivated and excited to live their lives on a higher plane. I do realize that the Church has policies and procedures set in place for good reasons, and it is our doctrine that all things should be done in order. In our meetinghouse libraries, policy says that we can only have a few certain DVD’s that are on an approved list—that is, those produced by the Church itself. This DVD is not on that list. BUT darn it, it should be! 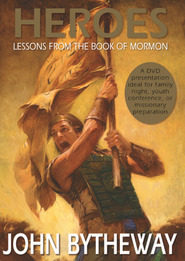 This DVD should be seen by every LDS teen and young adult. (Same with the DVD “Souls, Symbols, and Sacraments”—also not on that list, but features only Elder Jeffery R. Holland talking to a small group of youth about chastity. That DVD should also be seen by every LDS teen and young adult.) And for that matter, these two DVD’s should be seen by LDS adults as well. Standards Night Live is vital. It should be a featured item in our standard Church Sunday School curriculum. I love our curriculum committee brethren and sisters dearly, but I am mystified that this video has either not come to their attention, or rather, they have seen it and for some reason decided not to grab it up and try to flag it as an exception to meetinghouse policy. Every Bishop knows that we lose too many of our youth in their twenties; why in blazes should we not use all the great tools in our arsenal to hold on to them? If you haven’t seen this video, see it. Just see it. John has a way of presenting issues that relates to teens as well as adults. His examples about his experiences make you think of situations you have encountered and encourages you to be accountable. 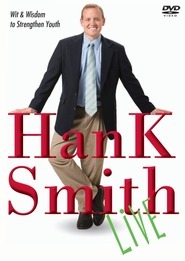 You'll laugh and be richly fed by the artistry of a servant of the Lord. We have used it for firesides and FHE, whether you watch the whole DVD or just watch certain values, you are sure to strike a great discussion afterwords and isn't that what you want with your family? I borrowed this movie from my neighbors the other day and have watched it four times since, its a great movie and illustrates the standards really well in a way teens can understand them. It also really helped motivate me to work hard to stick to my standards. This is a wonderful production for youth and adults alike. You can't go wrong with Bytheway!! I have showed this video for the youth at standards night and shown it for adult single friends. It is entertaining yet very point blank. Loved it! This is one of the best DVD's I've seen! It is our responsiblity to stand up for what we know is right. John Bytheway helps us understand what the Strength for the Youth is all about! As always, John Bytheway has done it agian. His firesides are always wonderful and this one excels! It is a good movie for fhe, or just anyday. I love this guy. He is effective and talented. Righteous Man. Standard Night Live is amazing! I'm a teenager and I love it!!! It is the best movie and I would recommend it to anyone who asks for a funny, entertaining,and religious movie this is it!! !